HCL Technologies has been recognized as a Leader for Worldwide Application Modernization Services for Oracle Upgrades by IDC in its recently published report, “IDC MarketScape: Worldwide Application Modernization Services for Oracle Upgrades 2016 Vendor Assessment”. 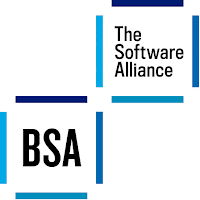 BSA | The Software Alliance (BSA) announced that KPIT, an IT consulting and product engineering company, has been awarded with an ISO 19770-1 Software Asset Management (SAM) standard-aligned ‘Verafirm Certified’. This is the second time KPIT has been recognized for the successful adoption of a model SAM practice that includes the creation and implementation of sound policies and processes to manage its entire software lifecycle. KPIT had become the first publicly-listed company in India to receive this certification in 2013. Startup incubator Kstart, an initiative of Indian venture capital firm Kalaari Capital, today announced a collaboration with IBM to foster the startup ecosystem in India. Together, Kstart and IBM will offer training and mentoring sessions, and Kstart’s entire roster of seed-stage portfolio companies will have the opportunity to apply for the IBM Global Entrepreneur Program, which provides business mentoring, technical support, networking opportunities with enterprise clients and credits to help entrepreneurs build their applications on IBM Cloud. Infoholic Research has published a study titled "Middle East Cyber Security - Market, Trends & Forecast - 2016-2022." Infoholic predicts that cloud security is expected to dominate the Middle East cyber security market followed by wireless security. The research forecasts that the Middle East Cyber Security market is expected to grow at a CAGR of 22.5% during the period 2016-2022. Southco Asia., a subsidiary of Southco Inc, a provider of engineered access solutions such as Locks, Latches, Captive Fasteners, Electronic Access Solutions and Hinges/ Positioning Technology, announces that effective today, Southco, Inc. has completed the acquisition of CounterBalance Corporation. CounterBalance is a US based manufacturer of modular torsion spring systems. Southco is the global leader in the design and manufacturing of Engineered Access Hardware Solutions. Banihal, a service to find your perfect match uses an elite algorithm to ensure matrimonial success has launched its new TV ad campaign. The TVC features Bollywood stars Kareena Kapoor and Arjun Kapoor and is a spin on their upcoming and highly-awaited flick Ki &Ka. Through the TVC, the two tinsel town biggies turn the spotlight on how today’s fast-paced and cosmopolitan world has completely altered the dynamics of marriage. Everyone has distinct and very specific preferences.To find someone who fits in well with one’s idea of a wedded life, the best bet is to log on to the modern scientific way of finding a partner, via Banihal. Mahindra Comviva announced that it has received the top honors at the Hackathon for Social Innovations 2016 for its innovative idea on intelligent attendance system for schools. 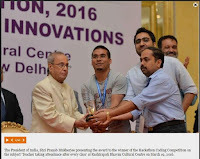 The award was presented by the President, Pranab Mukherjee at the Rashtrapati Bhavan, New Delhi on 19th March 2016 in the presence of eminent speakers like Karl Mehta, Founder of Code for India and founder-CEO of EdCast, and Mohandas Pai, Chairman, Manipal Global Education. The panel of judges included eminent personalities from industry and commerce including Mohandas Pai, R.Chandrasekhar (President of NASSCOM) and Sharad Sharma (Co-founder and Governing Council Member iSPIRIT Foundation). Teradata announced a new “design pattern” approach for data lake deployment which leverages years of experience in big data consulting and optimization to help clients build and benefit from data lakes. The new design pattern approach is an industry first and positions Teradata at the forefront in helping business users, data scientists and IT professionals establish data lakes that produce exceptional business value. AV Software Pvt. Ltd., provider of IT solutions for businesses and professionals, a subsidiary of ESS Distribution Pvt. Ltd., the leading provider of IT security solutions in Indian market, together with ABBYY, a leading global provider of technologies and solutions that help businesses to action information, today announced plans to promote ABBYY products in Indian market. 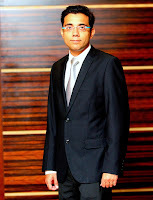 CarDekho Hires Pawan Chawla As Head Of Information Technology. CarDekho, India’s leading online automobile marketplace, has appointed Pawan Chawla as its head of information technology. Pawan has been previously associated with several leading organisations such as Yatra.com, Bertelsmann Marketing and American Home Mortgage Servicing, managing their IT infrastructure. The Canadian International School (CIS) celebrated its establishment and accomplishments over the past 20 years with a grand carnival. As CIS celebrated this incredible milestone, the day was dedicated to 20 years of excellence in International Education, and its achievements. Yasser El-Kady, Minister of Communications and Information Technology (www.MCIT.gov.eg), opened today the central and customer services centre for Burg El-Arab, where he was received by Engineer Rifaat Gunaidi, deputy executive director for regional affairs in Telecom Egypt and its executive managers in Alexandria. A new report conducted by Capgemini Consulting’s Digital Transformation Institute reveals the extent to which the search for competitive advantage has driven organizations to shift the focus of their analytical efforts away from customer facing processes to back office operations, over the last three years. Over two-thirds (70 percent) now put more emphasis on operational analytics initiatives than on consumer-focused processes. However, broad deployments remain limited and success even more so, with only 18 percent having both implemented analytics widely across operations and achieved desired objectives. At Adobe Summit, Adobe and comScore announced a global strategic partnership to provide new insights into the media consumption behaviors of digital audiences. This new partnership will deliver consistent, cross-device audience measurement of video and ad content, providing advanced insight into consumer viewing behaviors for better media planning and buying. Through this partnership, comScore is incorporating new Adobe Certified Metrics, standardized digital census data built on the Adobe Cloud Platform and powered by Adobe Analytics, into its Cross Media, Audience and Advertising Product Suites. In addition, Adobe will integrate comScore audience data, including demographics, for Adobe Marketing Cloud customers. The Institute of Information Security Professionals (IISP) has announced the findings from its 2016 member survey. With over 2,500 members working in security across a wide range of industries and roles, including a significant proportion at Senior/Lead/CISO level, the results of the IISP provide an accurate snapshot of the state of the UK cyber security landscape from those working on the frontline. In the first event of its kind, an exciting one-day Summit will meet in Monaco to explore the next phase of data center and cloud development across the continent. Invest in Data Center Africa collocated at Datacloud Europe – will meet at the Grimaldi Forum, Monaco on 8th June 2016 to discuss current and future investment in Africa data centers, connectivity via subsea cables and dark fiber, energy supply, cloud, IT investment, risk and the availability of funding. Umesh Sachdev, Co-Founder & CEO, Uniphore Software Systems, Chennai based speech recognition company has been recognised with India Edition of MIT Technology Review’s 'Innovators Under 35’. With this recognition, Umesh has automatically qualified as a finalist for the MIT Technology Review Global Innovators under 35 list. Infoholic Research has published a study titled "Web Scale IT - Global Market Drivers, Opportunities, Trends, and Forecasts, 2016-2022." Infoholic Research forecasts that Web Scale IT is set to change the environment of datacenters and will become a necessity for large enterprises. The research predicts that the Web Scale IT market is expected to grow at a CAGR of 21.1% during the period 2016-2022. A group of five engineering students recently duped a bank of crores by using fake mobile wallet transactions over the last four months. The incident left everyone dumbfounded as they were able to exploit the loopholes in the mobile app. But they could not go beyond. They are all in the police net now. Datum Datacentres announced that it has secured a Climate Change Agreement based on its energy consumption over the last 2 years and agreed efficiency targets to the end of 2020. Climate change agreements (CCAs) form part of the UK Government Energy and Climate Change programme. CCAs are negotiated arrangements that provide an extension to the Climate Change Levy rebate for energy intensive industries in return for meeting energy efficiency improvement targets. TP-LINK, a provider of consumer and SMB networking products, today announced the success of 'TP-LINK Clan Wars - Season 5', which attracted 900 in-person attendees and numerous online attendees. TP-LINK Clan Wars, which took between 21st Feb to 13th March 2016 in India, saw a huge footfall of gamers across India. Lenovo has released the much awaited Android 6.0 Marshmallow update to its best-selling 4G smartphone, the K3 Note. The Lenovo K3 Note that was launched in July 2015 and has sold over 1.5 mn units till date. The roll out of the update commenced 18th March in a phase manner. This update brings in all the features of Android M like Doze, Direct Share, Simplified Volume Controls, Google Now on Tap, Runtime Permissions and many many more. To add joy for customers this festive season and in another industry-first, Aircel, one of India’s leading innovative telecom players, today launched ‘Chhutti Pack’, a unique recharge pack that promises to delight customers travelling for holidays or heading back to their hometowns this Holi. Introduced especially on the festive occasion, ‘Chhutti Pack’ – priced at Rs. 83 in Delhi - offers not only an ‘extra’ talk time of Rs. 90, but also credits the user with 5 minutes of free incoming calls every day on Roaming on Aircel/Vodafone network. Historically, most mainstream lenders have been wary of lending to consumers who have limited or no credit bureau history. In order to address this market gap, CreditMantri launched a profiler on its webpage to know the status of a borrower’s Credit Health and create his/her Credit Profile. Over 40% applicants, majorly first time borrowers with limited credit history have demonstrated a strong willingness to share their social media and financial data in order to add to their Bureau based profile. Out of these, Facebook leads were followed closely by Google+ and Linkedin whereas, close to 20% have shared information from multiple data sources. Commvault announced new innovations to the Commvault Data Platform to further provide customers with a holistic, highly-scalable, and cost-efficient means of storing, accessing and recovering business-critical data on premise and in the cloud. These new innovations in the Commvault Data Platform further enable customer choice, help eliminate vendor lock-in, and facilitate increased data portability while extending the platform's value to a larger range of applications and software ecosystems for customers, partners and third-party software developers. Data has become the currency of the Always-On world. But on its own, it is not enough. Companies need to make sense of the wealth of data they have. This is where the algorithm economy comes in. Lava International expanded its range of camera focussed smartphones with two new devices – V2 3GB and V2s. Both smartphones are successors to Lava Pixel V2 which was launched last year and offered a great camera experience built through quality hardware & software innovations. V2 3GB and Lava V2s are competitively priced at Rs. 10750 and Rs. 8750, respectively (MRP). Happiest Minds Technologies announced its strategic partnership with Tickto, a provider of Beacons and IoT based platform for retailers across the globe with a mobile-enabled and cloud-ready technology platform. More and more IT companies are opting for nearshoring solutions as the best logistics options for their businesses. With nearshoring come major communication requirements and it is important to have the right tools to tackle all the special, temporal and organizational challenges. A common misperception is that SMEs using old software could put their companies at risk and that such solutions are based on databases considered to be “antiquated”. Companies like Sage maintain a range of platforms – cloud, server and desktop - based on technologies ranging from legacy to cutting-edge. Practo announced its entry into Brazil, the largest market in Latin America and the 5th largest economy in the world. Practo will start with São Paulo and will bring two of its award winning products - Practo Search and Practo Ray to the market. They will be available in Portuguese and English to ensure consumers and healthcare professionals in Brazil can leverage both with ease. SAP announced an initiative to support start-ups in India and train teachers in collaboration with The Indian Institute of Technology Bombay (IIT Bombay), India’s leading university. SAP will partner with two different programs: the Entrepreneurship Development Initiative* and The 'Train 10,000 Teachers' Programme (T10KT) - a STEM education initiative. Theft of sensitive or regulated data and intellectual property is one of the most serious risks to an enterprise. DNS is frequently used as a pathway for data exfiltration, because it is not inspected by common security products such as firewalls, intrusion detection systems (IDSs), and proxies. There is large proportion population in India who do not have banking facilities due to India’s geographical spread, regional disparities, reach and connectivity. Thus in the need to help in expanding financial inclusion mission by bringing small and low Income households into ambit of financial services, RBI has announced the introduction of concept of Payment Bank in India. 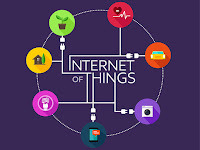 The growing ecosystem of web-connected devices and platforms known as the Internet of Things (IoT) has the potential to effect major changes in many industries, including manufacturing, retail, and transportation. The IoT represents big opportunities, and businesses need to know how make the most of it. Teradata announced that Coalfire ISO Inc, has certified the Teradata Cloud Information Security Management System (ISMS) as conforming to the ISO/IEC 27001 Information security Standard. Coalfire ISO, Inc is an independent Certification Body (CB) certified by the ANSI-ASQ National Accreditation Board (ANAB) to conduct ISO 27001 IT Audits of Information Security Management Systems per the conforming ISO standards. Infibeam Incorporation Limited will open on Monday, March 21, 2016, a Public issue of equity shares of Face Value of Rs. 10 each for cash at a Price Band from Rs. 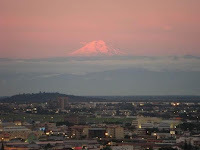 360 to Rs. 432 per Equity Share (including a share premium) aggregating up to Rs. 4,500 million. Commvault announced technology enhancements to its market-leading Commvault integrated solutions portfolio designed to help enterprises better support and manage "big data" initiatives. Rolled out as part of the newest wave of innovation in the company's eleventh software release, Commvault's new technology will help bring best-practice policy and data management into projects leveraging big data environments such as Hadoop, Greenplum and Global Partition File Systems (GPFS). Leader in print and enterprise content management Konica Minolta Business Solutions Asia (BSA) has launched the bizhub 367 series in Singapore. A monochrome multi-function printer (MFP), the bizhub 367 series is a flexible office companion that delivers a mobile, secure, and seamless printing experience. With research indicating that almost three-quarters (71%) of M&A executives have recently suffered a data loss, ansarada is making it even easier for the industry to securely share Microsoft Office applications with Secure Office. eSentire announced that it has partnered with Credence Security, a leading provider of cybersecurity, digital forensics, and IT technologies and solutions, to provide mid-sized enterprises in the Middle East and Sub-Saharan Africa regions, with advanced cybersecurity capabilities and threat protection. Lenovo announced its strategic partnership with Paytm, India's leading mobile commerce platform. This collaboration is aimed at providing attractive incentives for Lenovo’s Business partners and their sales representatives delivered by a breakthrough channel engagement program. As part of the tie-up, Lenovo’s Channel Partners can now claim their incentives through Paytm money, available on both mobile and PCs. Telecom service is designated as an essential service under the Essential Services Maintenance Act, 1968, and also evidently a key infrastructure essential to ensure growth. The Government vide the Finance Bill 2016 has proposed a tax framework that will be punitive and unfair to the telecom sector. The proposals will directly impact the common man on account of higher prices and essential funds being diverted to taxes instead of being invested in essential infrastructure. UpGrad, an online education platform led by Ronnie Screwvala & Mayank Kumar, joins hands with LetsVenture to design a 4-6 weeks Angel Investment Program. Due to the significant growth of investment opportunities in the Indian Startup ecosystem, LetsVenture expects more than 4,000 new Angel Investors join their investment network throughout the next years. The joint online program between UpGrad and LetsVenture aims to reach over 2,500 individuals over the next 2 years. 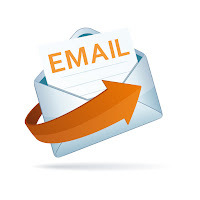 ESS Distribution, a provider of IT security solutions in Indian market, announced that ESET® company today warned users against an increased number of infected emails containing a malicious attachment, which downloads and installs ransomware onto an infected device. When opened, it encrypts victims' files on thier PCs and requires a ransom for decryption. 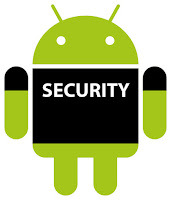 ESS Distribution announced that ESET researchers have discovered a strain of Android malware that can steal the login credentials of mobile banking users. Juniper Networks and Lenovo announced the commencement of a global strategic partnership to leverage synergies in their respective product and technology portfolios to build the next generation of converged, hyper-converged, and hyper-scale data center infrastructure solutions for enterprise and web-scale customers. The alliance reflects a shared commitment to deliver simplified, flexible, and high-performance solutions that will provide customers faster time-to-application value with reduced operating costs. Interactive Intelligence Group has made available a new customer engagement cloud service for businesses throughout the Middle East. The Steigenberger Hotel Business Bay has deployed a converged network consisting of core and edge switches from Aruba as well as a property-wide, high-speed 802.11ac wireless internet network from Aruba, a Hewlett Packard Enterprise company, to enable guests to enjoy free Wi-Fi across the 365 guest rooms, meeting rooms, restaurants and other public areas. With this deployment, the hotel aims to increase reliability and future-proof its network infrastructure and enhance guest experience by addressing the needs of business and leisure travelers who increasingly utilize internet-enabled mobile devices. In the fourth quarter of 2015, worldwide server shipments increased 8.2 percent year over year, while revenue grew 9.2 percent from the fourth quarter of 2014, according to Gartner, Inc. In all of 2015, worldwide server shipments grew 9.9 percent, and server revenue increased 10.1 percent. Back in the good old days, we nailed the front door up tight with a firewall and we knew, that with good security on our gateway, our network was safe from the nasties of the outside world. But those pesky kids in their bedrooms, not to mention state sponsored cybercriminals, worked out that they could circumnavigate our state-of- the-art firewall by looking for a way in at the opposite end of our network - the endpoint. While the Internet of Things (IoT) has been a popular buzz phrase for the last 18 months, the scale of devices to which it applies has been fairly limited. However, developments in network technology that will support the IoT as it comes of age, along with emerging use cases that will propel the mass deployment of IoT devices across the enterprise and in many vertical markets, are finally driving broader scale IoT deployments. Autodesk announced a new campaign to encourage customers, for subscribing to its design technology. The company, will be providing special pricing for Autodesk products—including AutoCAD, Revit, Inventor, 3ds Max, and more, that can lead to savings of up to 70% by the customers. They can avail the special pricing for the product subscriptions done till April 17, 2016 and will get lower up-front costs along with a flexible, easy-to-manage approach for using all these products. Uber, the smartphone app that connects riders with drivers to provide affordable, convenient and safe rides has today signed a Memorandum of Understanding (MoU) with the Government of Haryana at the Happening Haryana Global Investors Summit 2016. Over half (53%) of women value the photos and videos they store on their phones more than anything else on the device, including the device itself (56%) – compared to 39% of men, according to a survey by Kaspersky Lab and B2B International. However, despite over a quarter of women worrying about the online safety of these images, many still fail to implement even basic security measures. Gaia Smart Cities, an Indian start-up pioneering Internet of Things & smart cities solutions has entered into an agreement with Stream Technologies to collaborate roll-out smart city networks across India. India’s largest fashion community and fashion discovery-commerce app, Wooplr announced the investment made into the company by industry veterans. The Co-founders of InMobi who include Naveen Tewari, Abhay Singhal, and Amit Gupta and Piyush Shah, Chief Product Officer at InMobi, Raghunandan G, Co-founder, Taxi for Sure and ex-Puma India CEO Rajiv Mehta have invested in Wooplr and will join Wooplr as Advisors to the Board. Red Hat and Eurotech announced a collaboration to simplify IoT integration and accelerate implementations of IoT projects. 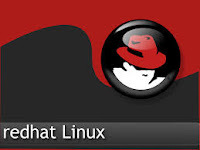 Red Hat and Eurotech have combined their complementary technologies with the intention of building an end-to-end architecture for IoT that will seek to bridge the gap between operational and information technology. Is the famous saying ‘Garbage in, garbage out’ still relevant? After all, GIGO became a popular term somewhere in the sixties. And with smarter systems and processes there is less ‘garbage out’. Unfortunately there is still a lot of ‘garbage in’: the data entering the business is all too often ‘bad’, wrong or incomplete. Data accuracy remains a challenge, especially as data quality and data accuracy are of the utmost importance in this data-driven economy. 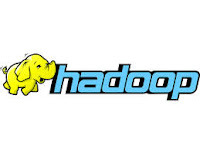 With poor ‘data in’ we get errors, unsatisfied customers and underwhelming customer service and experiences. But we also lose money and productivity. After seven successful editions, the 8th Bangalore India Nano strikes namma Bengaluru promising yet another exciting chapter. Hosted in association with the Department of IT, Biotechnology and Science & Technology, Government of Karnataka and Vision Group on Nanotechnology, the event inaugurated today promises to offer the attendees a spectrum of engagements. When you’re six feet tall and travelling with two small children, booking the cheapest flight with no extra legroom, no baggage, and an overnight layover is probably not the best option. Recognising that true value means providing travellers with personalised offers according to their needs, online travel agency Travix recently started offering Amadeus Fare Families on their websites. Zopper has announced the acquisition of EasyPOS Solutions, a cloud based point of sale software for billing, inventory, employee and loyalty management. Zopper has made a cash and stock acquisition in the POS platform with the intent to create a long-term association and value for its partner retailers. WinMagic announced its partnership with Mumbai-based company Know-All-Edge. WinMagic intends to build visibility and boost reselling of its hero product SecureDoc and SecureDoc CloudSync in India, through this partnership. Know-All-Edge Networks Pvt. 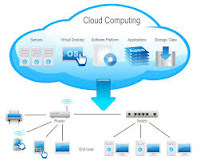 Ltd. is a leading system integration company providing strategic solutions in IT, networking, security and computing. 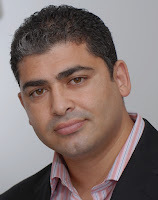 Amit Yoran, president of RSA, The Security Division of EMC kicked off RSA Conference 2016 with an opening keynote to another record crowd of cybersecurity professionals. This year, Yoran urged the overflow crowd to step back and assess the industry’s challenge from a different perspective. Yoran called for organizations to focus technology investments on supplementing and enhancing their security teams’ native capabilities to make them smarter, more efficient, and more scalable. Viu, an Over-the-Top (OTT) video-on-demand (VOD) service from Vuclip, a PCCW Media company, and the leading premium video-on-demand service for emerging markets, launches today in India. The largest freemium video on demand service in the region is aimed at winning the hearts of India’s ever connected and always ‘on-the-go’ youth with fresh and high quality video content. 8kpc launched two new hyper-converged infrastructure products in India which disrupt the industry through high performance, scalability and simplicity for business critical workloads. The 8kpc products are priced at less than half the cost in comparison to other systems in the industry and are deployable in an hour. 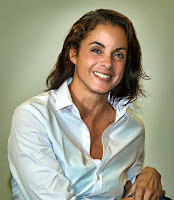 Intel announced the appointment of Ms. Nivruti Rai as Intel India Site General Manager. Ms. Rai succeeds Ms. Kumud Srinivasan who is relocating to the U.S. after the completion of her assignment in India.